The global frozen ready meals market is envisioned to expect high growth opportunities birthing on the back of the availability of a broad scope of products that keep consumers interested at all times. Convenient and healthy options prepared with the use of natural ingredients could collect significant demand in the coming years. High purchasing power of consumers in developed countries and busy lifestyle of people could act as strong factors augmenting the consumption of frozen ready meals. Players operating in the market could be more concerned about offering products that come with convenience of handling, microbiological safety, and nutritional quality. Advantages such as extended product life, low nutrition loss, and easy preparation are projected to create a massive consumer base for businesses dealing with frozen ready meals. World’s several consumer marketplaces could witness increased popularity of frozen ready meals including fruit and vegetable, poultry and fish, and meat. In order to ensure effective distribution of frozen ready meals, manufacturers are predicted to adopt sophisticated packaging solutions. Frozen ready chicken meals in particular could rake in a telling demand in the future years. On the other hand, large end users such as food chain services are forecasted to lead the market. With a view to facilitate cook-assemble-freeze manufacturing of frozen ready meals at a broader scale, companies could use new machinery with advanced features. A greater level of product safety is said to be achieved by manufacturers if they collaborate with the right packaging company. Cold storage firms could witness consolidation to make sure the quality of frozen ready meals does not degrade to a higher extent because of fluctuating storage conditions. Millions of dollars of investment could be made by players to ensure safer frozen ready meals reach consumers. Thus, production techniques that sustain the quality of products could be largely adopted in the global frozen ready meals market. 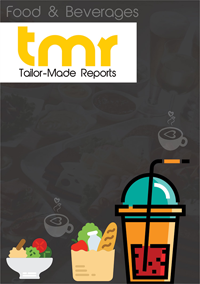 The global market for frozen ready meals is expected to trail along a lucrative growth path due to the rising propensity of the masses towards packaged food. The need for fresh and readily available food has continually expanded over the past years, and this trend is expected to continue over the coming years as well. Frozen ready meals are a convenient option for people who run on strict schedules of work and are also low on cost. Hence, it is safe to estimate that the global market for frozen ready meals would reap a commendable revenue over the coming years. The report is a succinct portrayal of the forces that operate in the global market and gives an estimated value of key performance indicators such as market value, regional market share, and growth rate. The last decade has witnessed major changes in the eating habits of the masses as people have become inclined towards packaged foods. This has given an impetus to the growth of the global market for frozen ready meals while offering tremendous scope for growth to market players. The development of better refrigeration equipment has persuaded several retailers to keep frozen meals on their product portfolio. This has also given a boost to the demand within the global market for frozen ready meals. The changing lifestyles of the people have left little time for cooking, which has shifted the focus of the ever-expanding working population towards packaged food. Food made from fruits, vegetables, meat, and dairy products can be conveniently stored in refrigerators for long durations of time. Moreover, the nutritional value of the ingredients can also be retained by storing food in specialized refrigerators. Owing to these factors, the market for frozen ready meals is prognosticated to surge ahead at a robust rate over the coming years. A report by The Washington Post expounds that frozen food is not just an option for health-conscious people with office jobs, and other population demographics including children and aged people also consume frozen meals. This is due to the efforts of the manufacturers of frozen food to offer wholesome and protein-rich meals to the consumers. Geographically, the global market for frozen ready meals could be segmented into North America, Latin America and the Middle East and Africa (LAMEA), Asia Pacific, and Europe. The market in North America is expected to register an astral growth rate over the coming years due to the popularity of frozen food in the region. Asia Pacific and Europe also harbor commendable growth opportunities for growth over the coming years. The market players are on a quest to ensure that their products can attain supremacy over other products in the market. In order to do this, they are expected to bring about variations in their product portfolio. Some of the key market players include Conagra Brands Inc., Kraft Foods Group Inc., Fleury Michon, and Nestle S.A.